Sedation of violent and agitated patients who are intoxicated with alcohol or amphetamines (e.g. ice) in the emergency department. I am fascinated by the effects of toxins in humans and how we can treat these effects. I love the challenge of scientific enquiry and in particular trying to understand if what we do for toxicology patients really helps. I enjoy the analysis of data and using mathematical modelling to better understand and predict the impact of drugs and disease. To challenge long held views about the treatment of poisoned and envenomed patients. To make clinicians re-look at what evidence there is for various treatments, including antivenom and other antidotes. My ultimate goal is therefore to improve treatment by only giving therapies that are beneficial and stop the use of treatments that can cause harm but have no benefits based on good science and solid evidence. Professor Geoff Isbister is a clinician researcher at the University of Newcastle. He obtained Bachelor degrees in Science and Medicine, then Specialist training in Emergency Medicine and Clinical Toxicology. He obtained a Doctorate in 2004 in clinical toxicology. He is an active clinical toxicologist at Calvary Mater Newcastle and Consultant to the National Poison Centre Network. He has been continuously funded as an NHMRC research fellow since 2005, with Career Development Awards and a Senior Research Fellowship. He has over 230 peer-reviewed publications, including in The Lancet and Nature Medicine, and a review on scorpion envenomation in the New England Journal of Medicine and the Envenomation chapter in Cecil’s Textbook of Medicine. 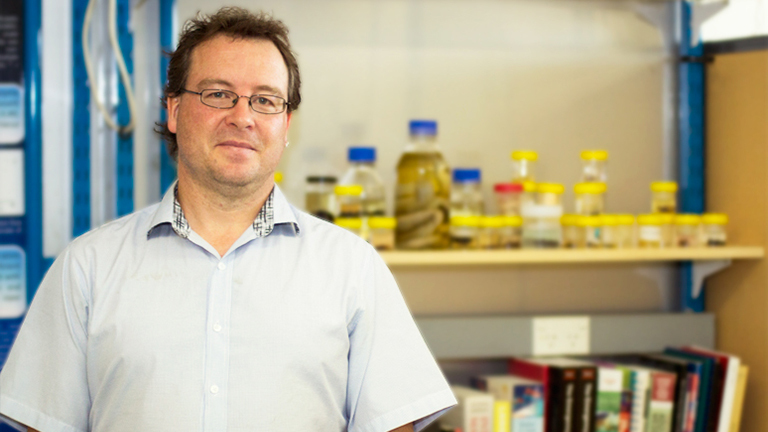 Professor Isbister has won numerous national and international awards and obtained over $15 million in competitive grant funding, including NHMRC Program Grant and a Centre for Research Excellence. He is invited to, and presents regularly at, national and international meetings including the North American, European and Asia-Pacific congresses on Clinical Toxicology. He has a number of editorial roles, including as Senior Editor for the British Journal of Clinical Pharmacology. Professor Isbister has made a significant contribution to Clinical Toxicology in Australia and internationally over the last 15 years. This includes clinical and laboratory studies that impact on assessment and treatment of patients and puts this research into clinical practice through his involvement in the national poison centre and role in developing the Toxicology Therapeutic Guidelines first two editions. His leadership and contribution are exemplified in him establishing the Australian snakebite project in 2002 and leading this multicentre study continues to change approaches to snakebite treatment in Australia. He has established a world-leading laboratory in venom measurement, assessment of venom function and testing antivenom efficacy. His most important contribution to clinical toxicology is the Australian snakebite project with recruitment of thousands of snakebites from hospitals around Australia. This has resulted in numerous publications of definite cases by each major snake group that have defined the clinical effects for all Australian snakes, and determined the appropriate dose of antivenom. These studies include venom detection in patient blood and measure the effect of antivenom. These studies have challenged the large doses of antivenom that have been used for decades showing that one vial of antivenom is sufficient. Professor Isbister's involvement with the national poison centres, close collaboration with other clinical toxicologists and involvement in national guidelines has meant that his research has rapidly influenced practice. He has used this experience to lead several snake trials in Sri Lanka. He has conducted two controlled trials of redback spider antivenom which challenge long-held views about antivenom effectiveness that has been featured on ABC Catalyst. I would like to improve the treatment of patients with bites and stings, and patients with drug toxicity, by understanding the benefits and safety of the different medicines we use, including antivenoms. For example, in snakebites my dream is to have a simple bedside test that can be used anywhere in the world to determine if a patient has envenoming and that we can then give safe and effective antivenom. I would like treatments that have no benefits and can potentially cause harm to no longer be used by undertaking clinical trials to test them. My laboratory is the only one in the Southern Hemisphere that can measure snake venom in patients from Australia and Asia. We are unique because we combine laboratory based research with clinical trials, which means we rapidly translate evidence from benchtop to bedside.